The question of why countries give aid and assistance to other countries has long been a topic of debate- is it altruism, or selfishness? The assumption is sometimes made that donors from developing countries might be more motivated by altruism than ‘traditional’ western donors. This book demonstrates that on the contrary, the provision of development assistance can be used to serve national interests, allowing so-called ‘emerging’ donors to gain soft power in the international sphere by improving their image and global influence. Technical cooperation, or the transfer of knowledge, is an area of particular interest, as it can enable donors to position themselves as a global leader in a given field, with a unique set of skills and expertise in a knowledge area. 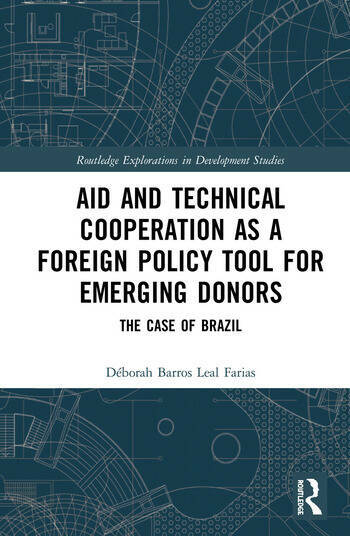 This book uses the Brazilian case to demonstrate how a country such as Brazil can seek power and influence by providing no-strings-attached technical assistance. The empirical analysis unpicks the motivations behind development assistance, and how it can be used as a foreign policy tool. In doing so, the book sheds light upon the similarities and variations in the provision of technical cooperation as a foreign policy tool by China, India, and Brazil. This book will be of interest to researchers of International Development, South-South Cooperation, International Relations, and those working on Brazil specifically.